I had a visitor in my studio yesterday: 15 year old Vera, who is thinking of becoming an illustrator maybe. 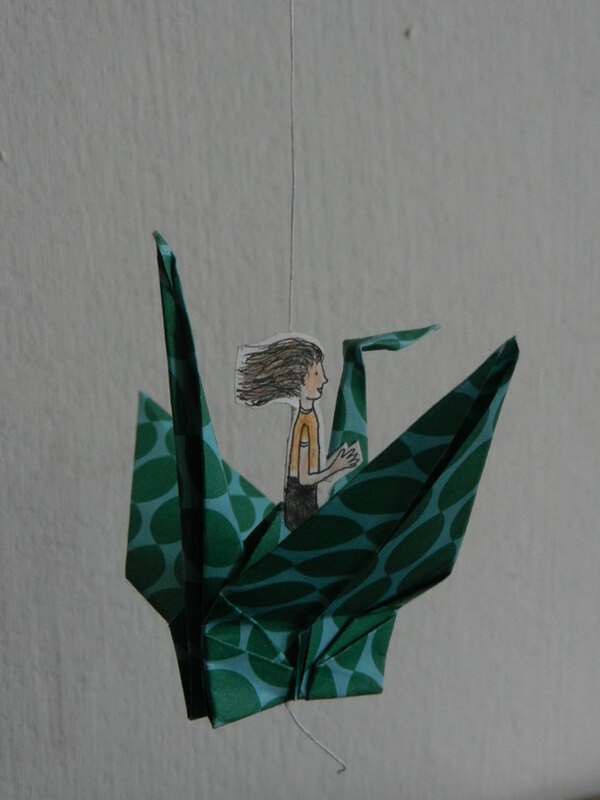 She asked good questions, we looked at my work, and she brought me an example of her own work: a tiny girl riding a crane. She is now hanging above the table in my studio.